I have been long encouraged to create books. Here we go. Briefly, I do this for myself, and do not expect much commerce from this endeavor. The cost of printing is frightful, and I am not willing to pre-publish the volume necessary to bring the price down. I have, however, created a few sizes and formats that might allow some folks to show interest. The Blurb line of books is high quality, and I am willing to see if the smaller more “affordable” format gleans any interest. There is also an eBook available through Blurb, or you can purchase the most affordable version of electronic book for your tablet by directly ordering the PDF file of the books offered. They look great on my iPad! Links to the books for preview and pricing and possible purchase are provided under the titles. 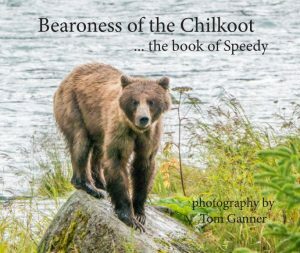 As of 2018, Chilkoot’s favorite bear, who has locally been nicknamed “Speedy,” is fourteen years old and has birthed three sets of cubs. This humble tribute celebrates her life and the lives of her families. She has brought joy beyond measure to countless visitors of the Chilkoot State Park. 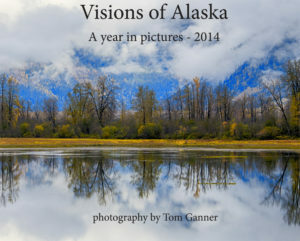 A series of DVDs documenting a season in photographs, videos, and music of life in Alaska as I see it through my lens. 2012 – Chapters include: A View of Haines, and To the Yukon and Beyond: A trip up the Dempster Highway to the Arctic Ocean. (Read the blog of this journey at: Led by A Lens: A Dempster Diary and make sure to enjoy “The Spirit of the Caribou”). In this DVD I have used series of photographs to create timelines and illustrate stories that take the viewer through capsules of time & space, as a technique for conveying a story. 2013 – Chapters include: Haines through the 2013 season, Denali National Park, where we enjoyed ten days of wonderful weather, big country, abundant wildlife, and picking blueberries on McClure Glacier, and Kluane National Park, (Yukon Territory) where we journeyed and enjoyed the first snow fall at Kluane lake while climbing to photograph dall sheep and moose. 2014 – Chapters include A Season in Haines, and Up the Highway, which documents our return to Kluane National Park in to photograph rams, ewes and lambs of dall sheep. (Be sure to enjoy the blog, In Search of Sheep for a full recounting of the tale behind the photography). 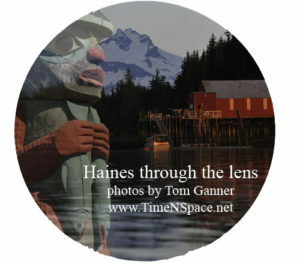 This chapter also includes explorations of the tundra and high country of the Three Guardsman area of Haines Pass. New to this DVD are several chapters of hybrid video/photography mockumentaries including Hunting for Hooligan, Gulls Gone Wild, In Quest of Color, and Grizzlies in the Mist. 2015 – Chapters include A Season in Haines and Our Aleutian Road Trip which documents our trip up the Alaskan Highway, down the Glenn Highway to Homer where we did a side trip of four days with bears on Hallo Bay of Katmai National Park before running out the Aleutian Island Chain to Dutch Harbor and then Kodiak, and back to Haines via the Kenai Penninsula, and the Denali and Richardson Highways with a drop into the Matenuska Glacier. (A blog of this fun trip can be enjoyed at: Aleutian Road Trip.) Mockumentaries include Singing for Supper (sea lions in search of a meal) and Scoter Madness. 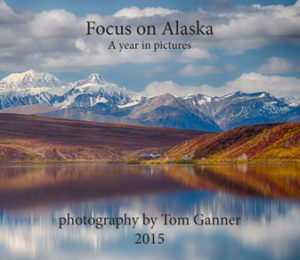 Orders of Focus on Alaska will receive a complimentary copy of this DVD in regular, or Blu-Ray format.